When you suffer from the effects of gum disease, you deserve the personalized, gentle care of a Superior greater Poway and Rancho Bernardo area periodontist. Dr. Rubinoff has been practicing in the Rancho Bernardo and Poway area for over 25 years. At Craig H. Rubinoff, D.D.S., M.S., A.P.C., Dr. Rubinoff specializes in prevention, diagnosis, and treatment. For superior dental healthcare, come to our local offices for the very best. 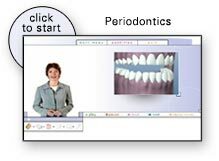 Periodontics is the specialized field that focuses its efforts on helping patients with gum disease, one of the most common dental health problems. For the best care, you will need to work with a dentist that has the additional education and experience necessary for the best quality care. Our highly trained staff can fully assess and take care of patients within the full spectrum of the periodontal condition. We also offer cosmetic and restorative procedures such as gum surgery to pare back diseased areas and dental implant surgery to help you replace a single tooth or multiple teeth. Our offices are equipped with cutting-edge technology to deliver superior dental healthcare and state-of-the-art amenities so that you feel comfortable and relaxed during your time with us. We make every effort to provide you with the best experience possible. Learn how we can provide more as a Poway periodontist and dental implant specialist. Call us today to set up your consultation at Craig H. Rubinoff, D.D.S., M.S., A.P.C. Our offices accept most insurance plans, but we also have affordable payment plans for self-pay patients.